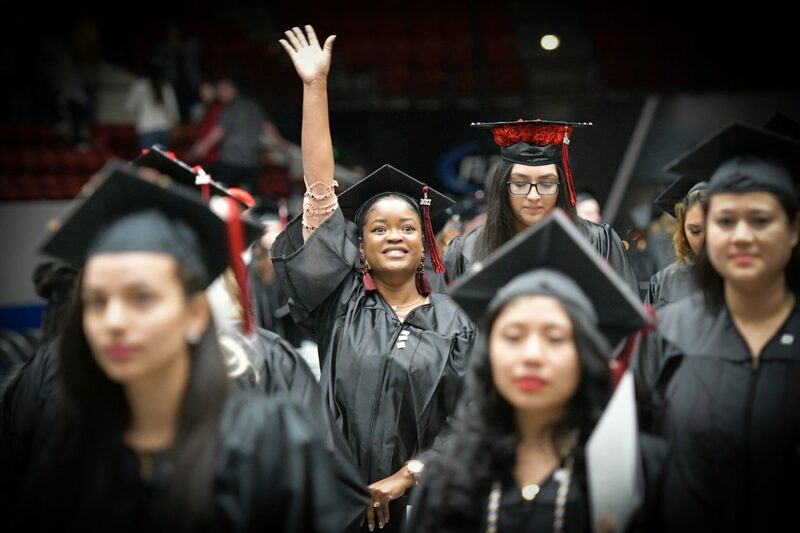 Polk State College’s 117th commencement ceremony was extraordinarily special, marking milestones for students, President Angela Garcia Falconetti, and District Board of Trustee Cindy Hartley Ross. 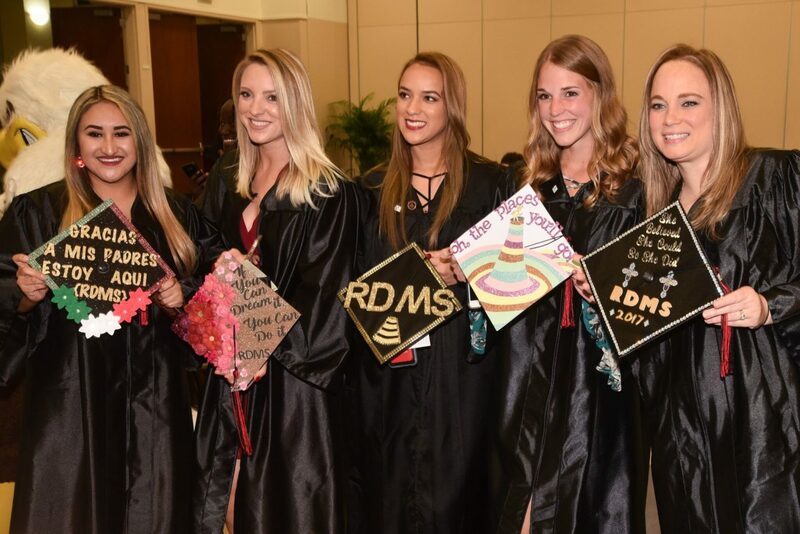 Nearly 500 students flocked to the RP Funding Center – brushing out creases in their gowns, affixing Polk State Alumni pins to their chests, and ensuring the tassels on their caps were to the right as they anxiously awaited the moment to move them to the left. Winter Haven Student Government Association President Gonzalo Gutierrez gave a motivating invocation before Falconetti gave her welcoming speech. 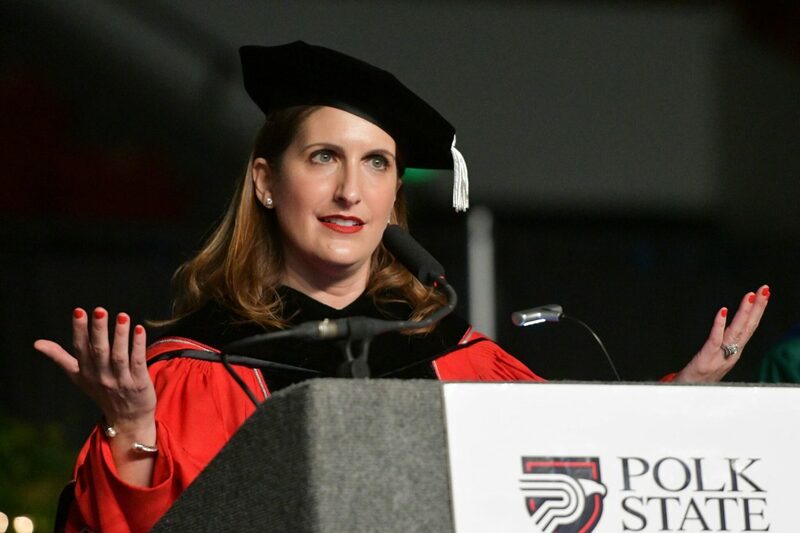 Falconetti shared a brief message about herself and how she recently opened a new chapter in her own life, with Thursday’s commencement ceremony being her first as President of Polk State College. Ross, who received the December 2017 Distinguished Alumnus Award, illustrates Falconetti’s message. 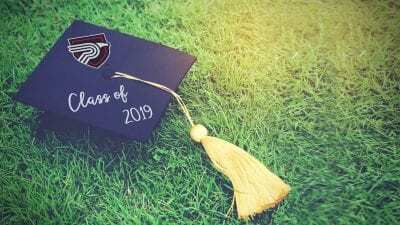 A Lakeland native and a graduate of Lakeland High School, Ross received her Polk State Associate in Arts degree in 1979. 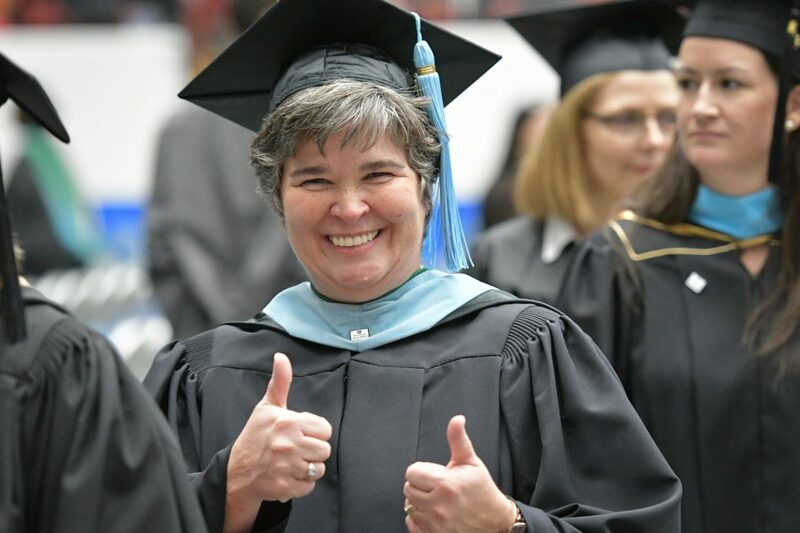 She went on to study Special Education at Troy University and volunteered in a number of leadership roles in Polk County Public Schools. 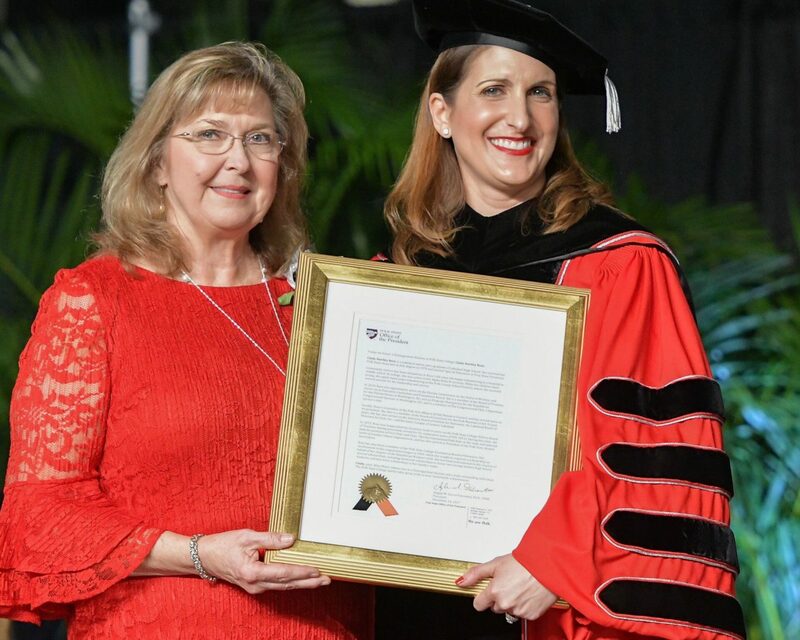 She has been involved with the Polk State College Foundation since 1999 and she previously served on the District Board of Trustees for 12 years before Gov. Rick Scott reappointed her in 2015. She is married to U.S. Rep. Dennis Ross and their two children are both Polk State graduates. 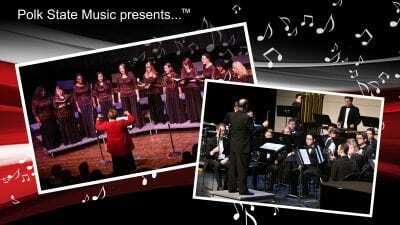 In addition, Ross has 17 other family members who have graduated from Polk State. 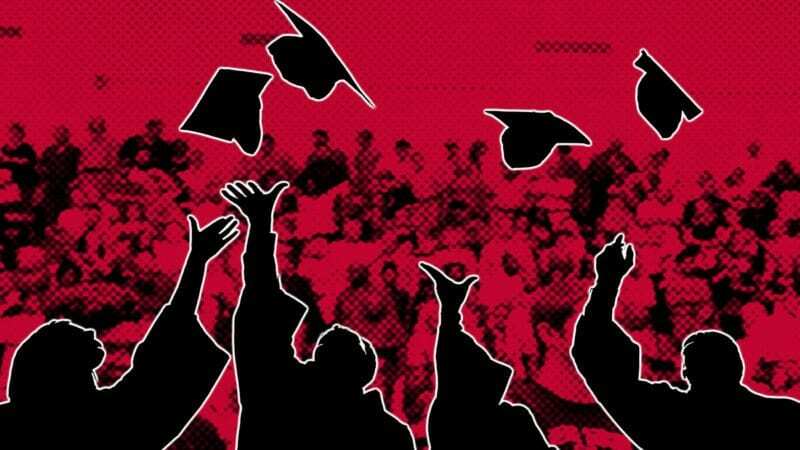 She called the award a reminder of how Polk State College allowed her to develop the skills she needed to be successful. 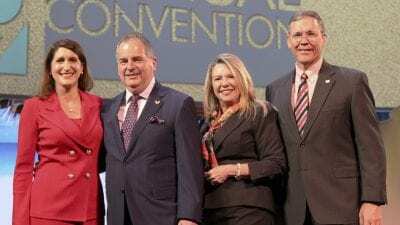 “It was Polk State College that taught me about the world… and this award is a reminder of how Polk State College assisted me in developing my tool kit and bettering my life,” Ross said. 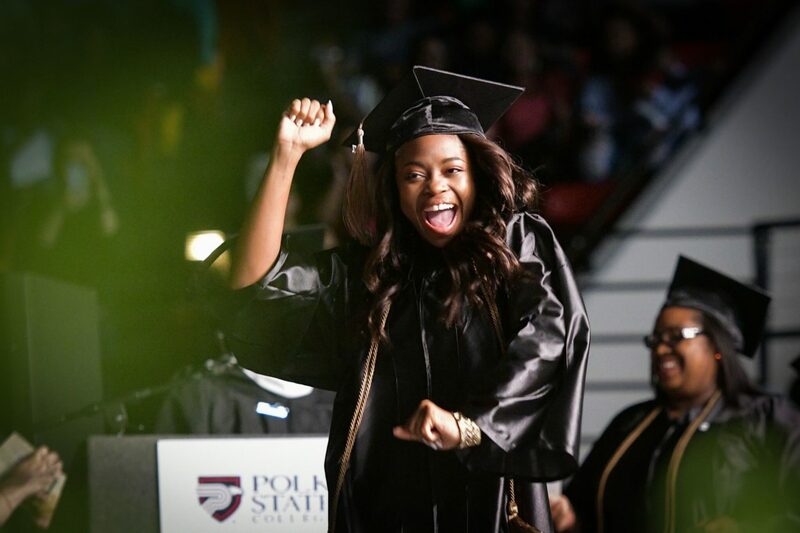 She told the graduates that when they decided to go to Polk State, they chose the college that understands that the world is going on around them. 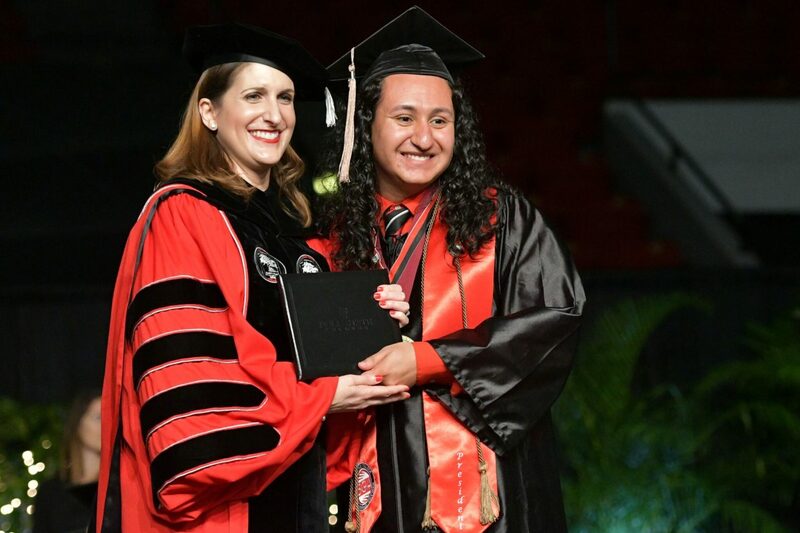 “Continue to soar, never give up, and remember – you will always be a part of the Polk State College family,” President Angela Garcia Falconetti said. 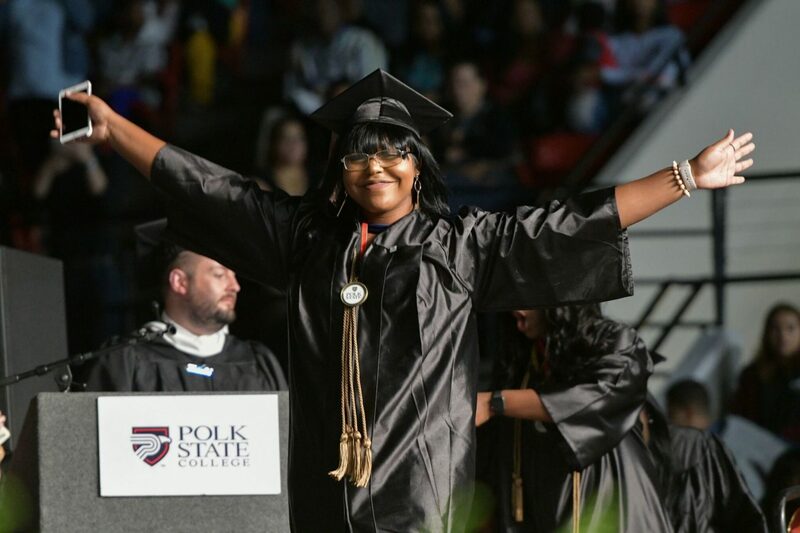 “Polk State College puts students first,” she said. 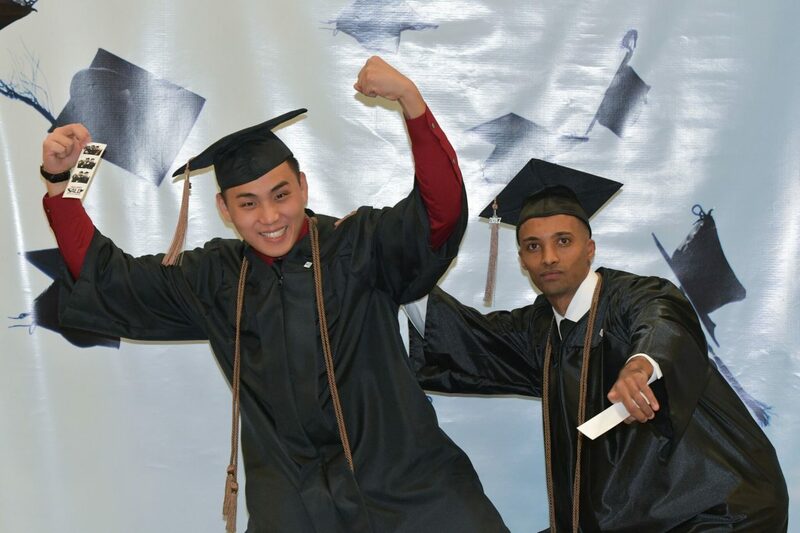 Falconetti echoed a similar sentiment to the graduating class. 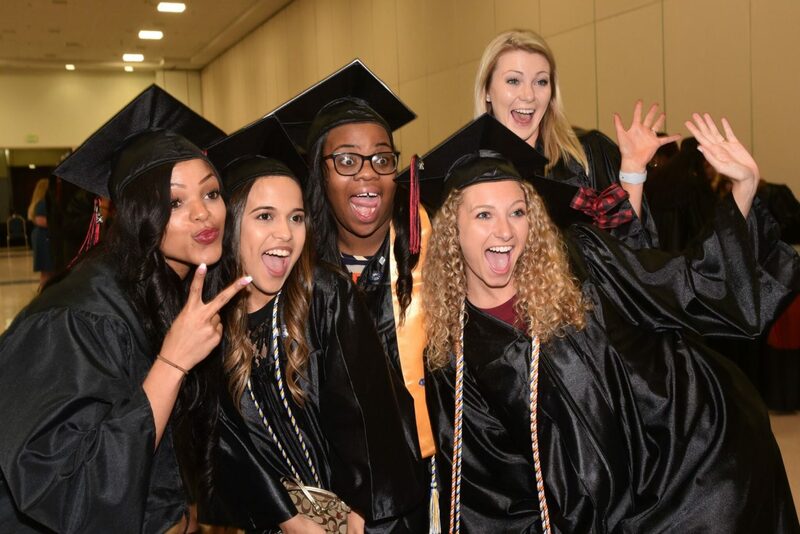 Here is a more detailed look at Polk State’s 117th graduating class.